Few things are going to go so well as to make broad, sweeping statements about what you can derive from a culture from observing its games. Roger Caillois offered that idea, and he was a shocking all-purpose super-racist, like a Voltron of racism, bolting together orientalism and exoticism and a kind of intellectual academia that formed The Head(lessness). Caillois was so convinced that the destiny of cultures could be seen in the games they played that he dedicated a book to the task, a book that I have had gleeful fun making fun of lately but which also has some terms that we’ve kind of gotten very used to using, terms like ludic and paidic in terms of game design. His model of games as forms of engagement was to see them in terms of how people got involved with them and what that meant they got out of them, and then from that, to try and draw broad, elaborate strokes about what this meant for cultures that just happened to align with western Europeans and mostly French academics just being the best people, and clowns were evil. It’s not like my opinions of games is coming from a space of serious expertise, either; Canada is a really big country, and those three games are trying to represent four hundred years of history across literally the second largest country in the world. The game of ear pulling has been played in Canada for literally three millenia and Ice Hockey is relatively recent by comparison. Still, when I look at these three games, something that strikes me about them all that they have in common is that these three games are not about doing something to the limit of one’s ability. They’re all about, or have rules to encourage, you to do just enough. This isn’t unique! 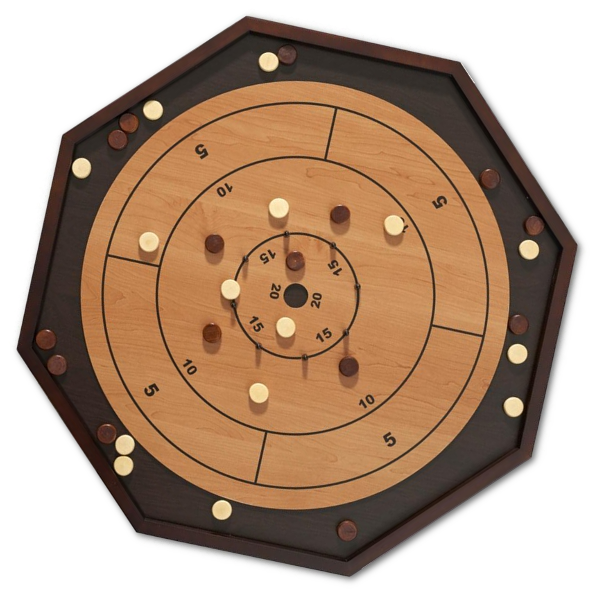 After all, games like bowls and blackjack are also games about not doing too much but neither of those games are about dealing with the dynamic, slippery surface of ice, or the crokinole board and its skiddy polish. Is there more to this? Is it a secret insight into Canadian culture? Have I cracked some Cailloisian code? It’s just a coincidence. An interesting coincidence, but a coincidence. But it’s fun, sometimes, to notice these things, and think about how you might do things differently.